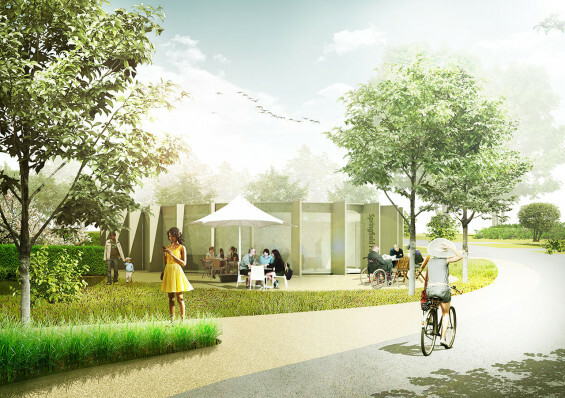 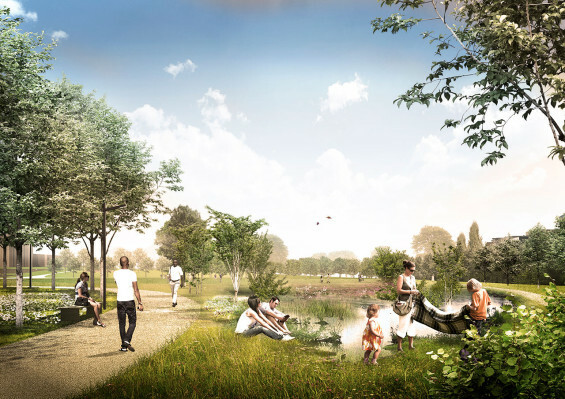 Springfield Park is a new public park on a former golf course area in southwest London, featuring climate resilience measures, sports facilities, pavilions and various garden rooms combining familiar London-features with new urban nature. 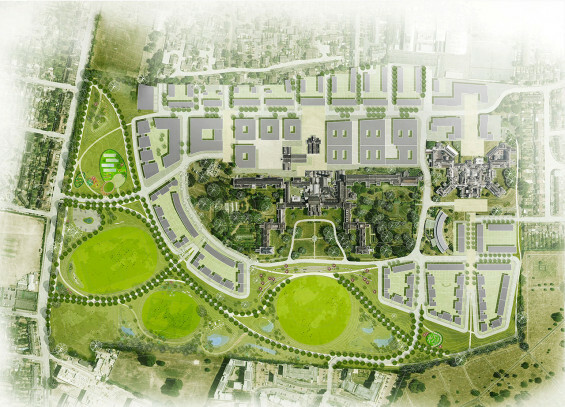 The 13 ha land is released as part of the transformation and expansion of the historic Springfield Hospital, which includes a masterplan for new residential uses and new public parkland on part of the former hospital grounds. 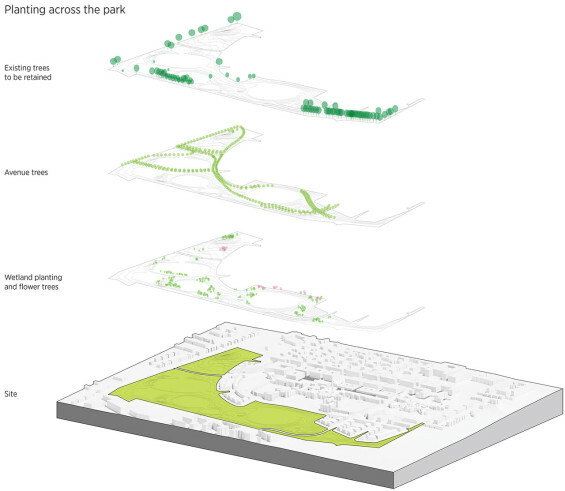 The proposed design ties together the future Springfield Park, the local environs and the greater green corridors of southwest London to form an interaction with the wider urban fabric in its broadest sense: Social inclusion, habitat creation, water management and functional programs are tied to the connecting links that anchor the park in the local area and its infrastructure. 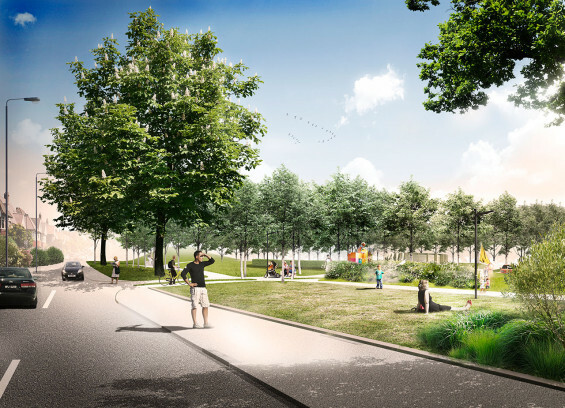 The landscape design is based on multi-functionality, where swales are playgrounds, attenuation ponds become garden features and therapeutic gardens spaces for floral appreciation and contemplation accommodate residents and hospital patients alike. 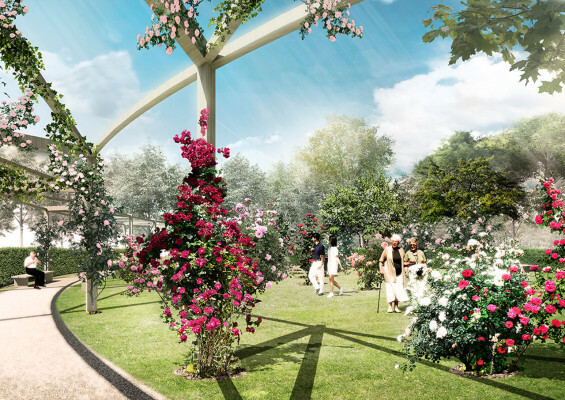 A meandering web of landscape features such as avenues, hills and pathways defines a series of spatially and ecologically diverse landscape rooms. 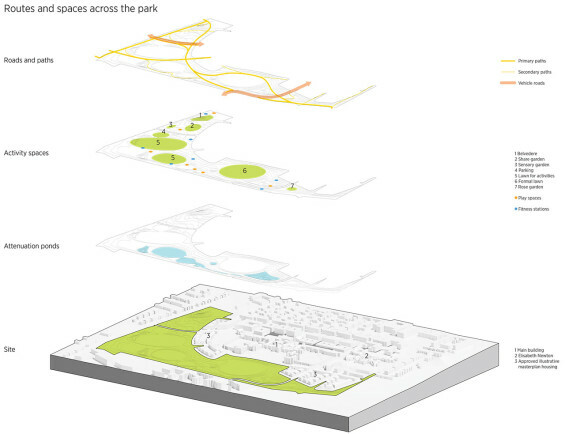 The result is a democratic division of spaces where one function does not diminish the other, with small and large spaces placed freely around the great open lawn in front of the majestic historical hospital building – the centrepiece of the park, where people meet for arts and cultural events in the historical settings, picnics at the amphitheatre-stairs or just for a casual meeting on the way through the park. 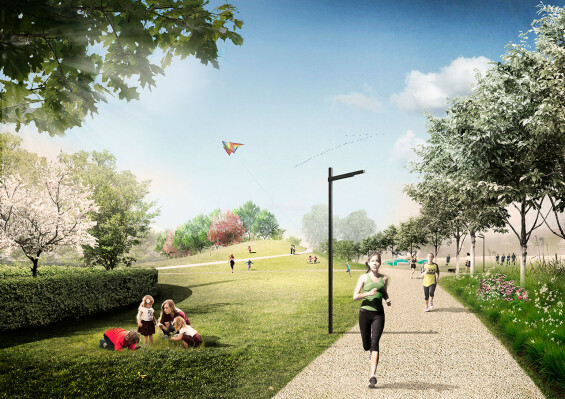 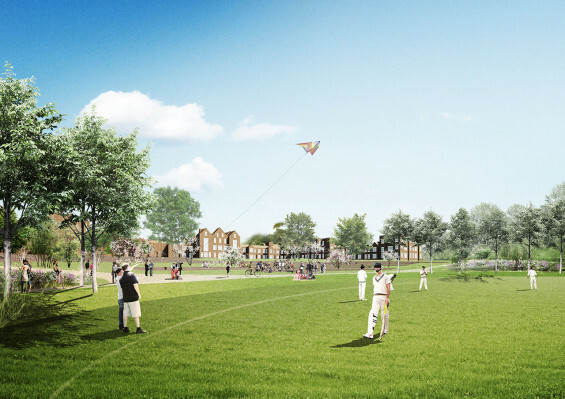 The new Springfield Park will be developed in two phases from 2017-2023, coordinated with the masterplan for the adjacent residential development and the transformation and expansion of the mental health hospital, which C.F. 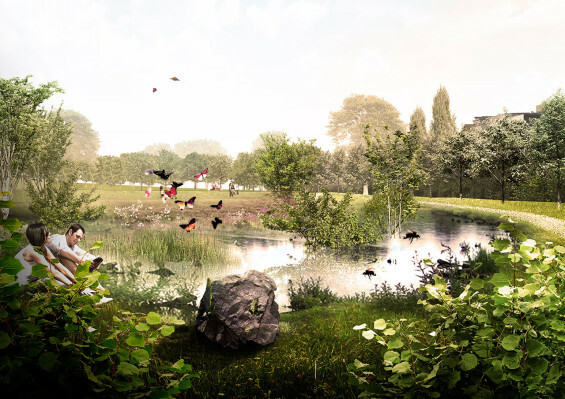 Møller is also responsible for.